K&N Recharger Kit 99-5003EU is designed for cleaning your K&N oiled cotton air filter when it is time to be serviced. The bottle is labeled in in German, French, Dutch, Italian, and Portuguese for use in Europe. 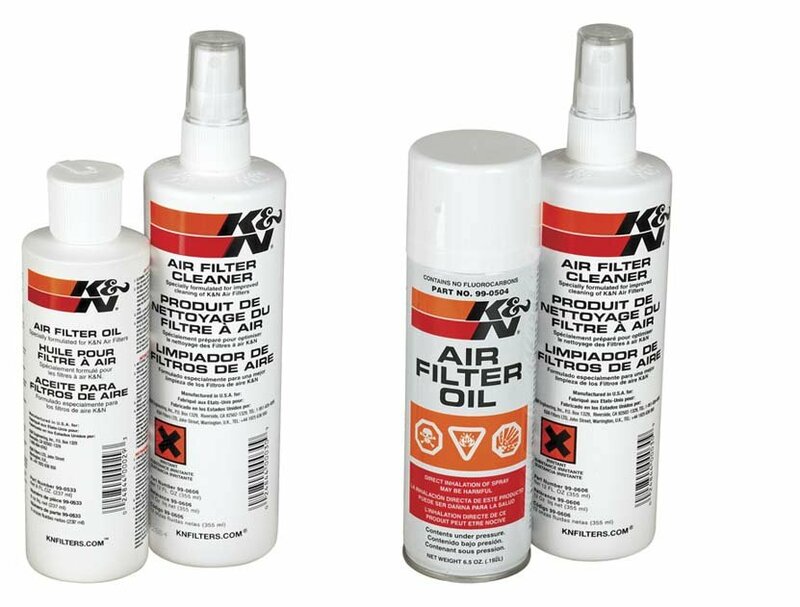 The kit comes with K&N Power Kleen air filter cleaner and air filter oil. 99-5000EU will restore air flow efficiency and will bring your K&N oiled cotton air filter to like new condition. K&N Power Kleen works to dissolve the dirt build up and old filter oil, then it can be washed away with water. After the air filter fully dries re-oil your air filter then reinstall it. This Recharger Kit comes with a 204 milliliter aerosol spray can of oil and a 355 milliliter K&N pump bottle of Power Kleen air filter cleaner.